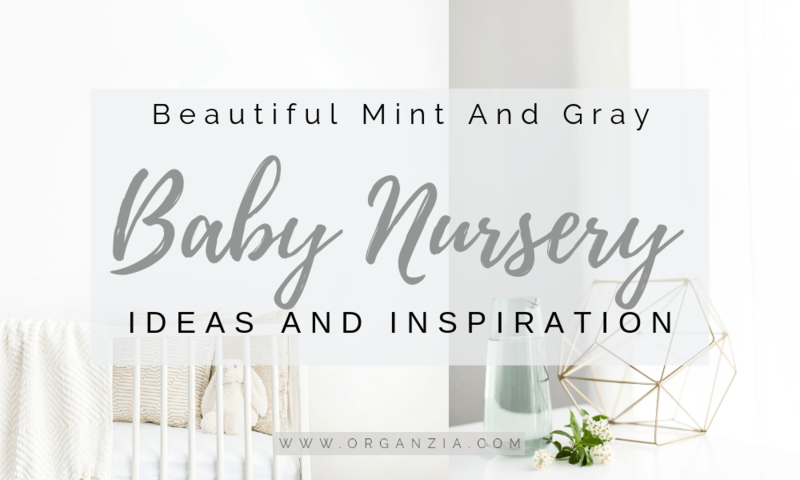 Mint and gray baby nursery inspiration. Gender neutral. The color mint has been just a crazy hit here in Norway for the last year or so! And it’ s really such a beautiful color that goes really well especially combined with Scandinavian interior elements.I really love the color mint because I find it very calming, but also very refreshing as well! It’s a beautiful color, but not TOO colorful. It’s just right! I’m really loving the idea of a mint and gray baby nursery. Now that we’ve moved into our new house, one of the biggest highlights is definitely that I get to redo both my kid’s rooms, YAY! And first off is my youngest son’s room. He has the smallest bedroom in the house, so we can’t really have any dark colors that will make the room feel even smaller. I’ve already decided that we’re painting three of the walls in a beautiful mint color from Jotun, called “Soft Mint”. The fourth wall is going to be with this super cute wallpaper from Majvillan. The rest I’ve haven’t quite decided what to go with yet, but I’m really loving the idea to combine mint and gray. Lego Bedroom, Time For The Big Reveal And All The Details!